Stephen Linsteadt, NHD, CNC — has a degree in natural health from Trinity College of Natural Health and is a past member of the American Naturopathic Medical Association. He is a certified nutritional consultant and a member of The American Association of Nutritional Consultants. He studied energy medicine and bioresonance in Germany based on the principles of Oriental Medicine. He was the co-founder of New Hope Clinic, an integrative center specializing in chronic illness, and has shared his experience in the book he co-authored: The Heart of Health: the Principles of Physical Health and Vitality. He is the co-founder of Natural Healing House, dedicated to educating people on the principles of natural health. Stephen is the founder of Scalar Heart Connection® and the author of the book, "Scalar Heart Connection," a process designed to help people uncover negative emotional patterns behind ill-health and other challenges with well-being. 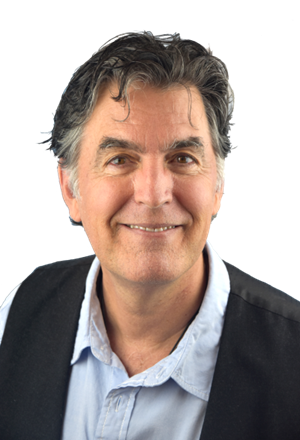 Stephen has a passion for sharing his knowledge about healthy life-style habits and has lectured extensively on the subject of the mind-body connection as well as created and conducted workshops internationally in the area of physical health, emotional wellbeing, and Art Therapy. Stephen is also an artist and a poet. He studied painting with Marjorie Hyde at Grossmont College and graduated with honors with a B.F.A. in painting from Long Beach State University and did graduate studies at Massachusetts College of Art in Boston. His poetry has appeared in Silver Birch Press, Synesthesia Literary Journal, Pirene's Fountain, San Diego Poetry Annual, Gyroscope Review, Saint Julian Press, Poetry Box, Spirit First, and others. He has published articles about heart centered consciousness in Whole Life Times, Awaken, Truth Theory, Elephant Journal, and others. Stephen's paintings were featured in the poetry anthology Woman in Metaphor and have also appeared in Reed Magazine, Lime Hawk, Badlands Literary Journal, Birmingham Arts Journal, and on the cover of various poetry collections. Stephen studied Resonance Repatterning® with Chloe Wordsworth and the Yuen Method with Kam Yuen. He is grateful for the knowledge he has received in the form of personal communication with James Oschman, Rod Johnson, and Jeff Volk. He is also appreciative of the information acquired from attending lectures by Fritz Albert Popp, Valerie Hunt, and Bruce Lipton. Stephen is an avid book-student of Carl Jung, Wolfgang Pauli, Hans Jenny, David Bohm, Milo Wolff, Joseph Campbell and many others. In addition, he is an ardent reader of Eastern Philosophy and world religion. In 2002, Stephen developed the Quantum Healing Codes™ from the discoveries of Joseph Puleo. Scalar Heart Connection® evolved from his understanding of the geometry behind these codes as well as figure-eight techniques used by Tibetan monks.